Located in the heart of the town centre of Dax, Thermotel offers you all the services of a 3* hotel with the liberty of a residential hotel. 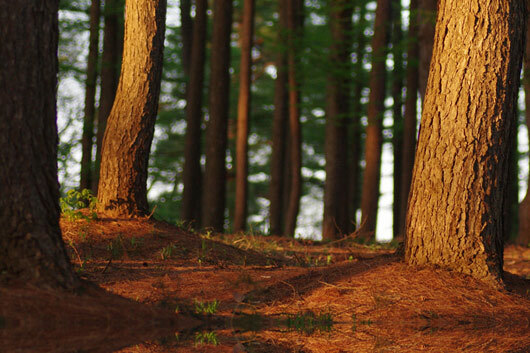 Thermotel is the perfect place to stay during your thermal treatment or to visit the Landes. Our personnel are at your service to make your stay in Dax a moment of relaxation and well-being. 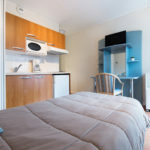 Our rentals rentals (studios and apartments) are furnished and fitted out in a cosy and practical way, totally equipped, and set up for your comfort. 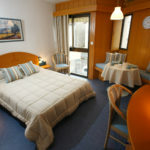 Thermotel has everything: in the heart of the spa town, coquettish and practical furnishing, fully equipped, television with Canal+, wifi access, you benefit in addition to all the services of a hotel: reception and staff available 24/7, cleaning service, ready meals service, sheets and towels, bathrobes. 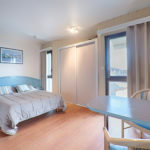 Thermotel offers you 5 categories of accommodation, from a studio for 1 person to a one-bedroom for 2 people. All of our apartments are designed to provide with the necessary comfort in order to make your stay enjoyable. Dax has been the reference station for rheumatology since Antiquity, and the Roman legionaries already took care of it. Its unique thermal mud called Peloid gives it an inimitable thermal treatment. 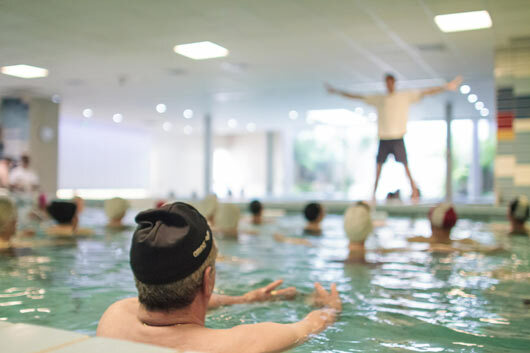 The exceptional properties of Dax thermal water have made the resort one of the leading destinations in the treatment of chronic venous insufficiency. To come to DAX for a thermal treatment is to choose THE thermal station in matters of rheumatology, thanks, in particular, to the notoriety of its mud: “the péloïde”, unique in the world. For any information, our hostess are available from 8:00 AM to 7:00 PM 7 days a week.